The mobile push channel provides a way for you to communicate with your contacts using mobile push notifications. 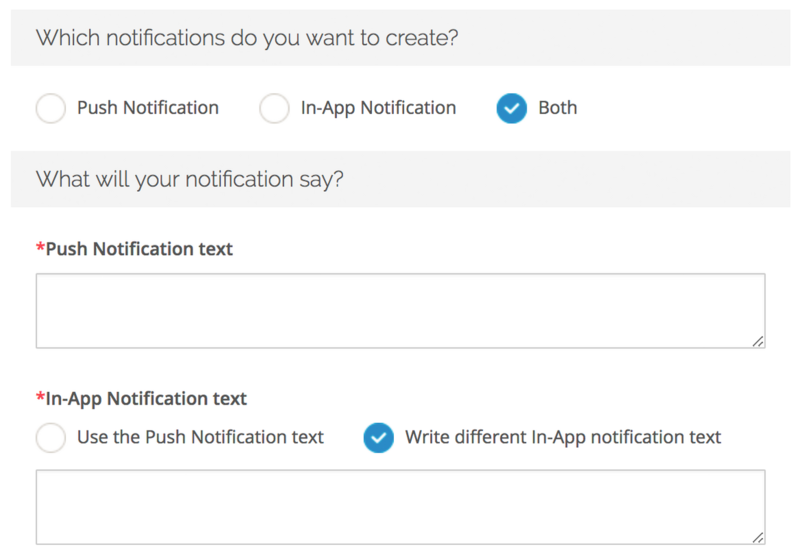 These notifications can be displayed to the contact as push notifications that appear on the mobile device's home screen or as in-app notifications that display within your app on the contact's device. Note that mobile push channel content is not SMS. The contact will need to have your app installed on their device in order to receive a mobile push notification. Also note that the mobile push channel is provided through an integration with Urban Airship. To have this functionality enabled in your account, please contact your Client Success Manager. 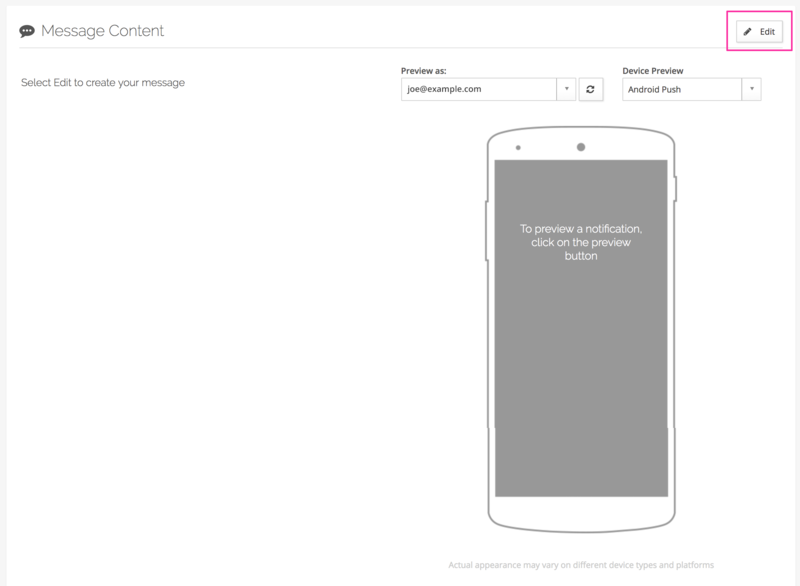 The mobile push channel is supported in both Batch Messages and Automated Messages. 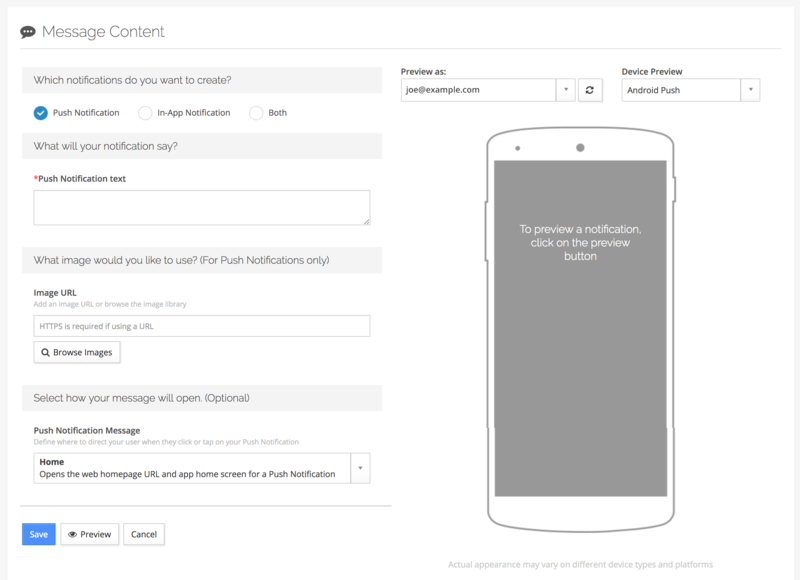 Once you create a new message, follow the steps below to create the mobile push notification content. To start editing a message, click the edit button. After clicking edit, you'll see available options. 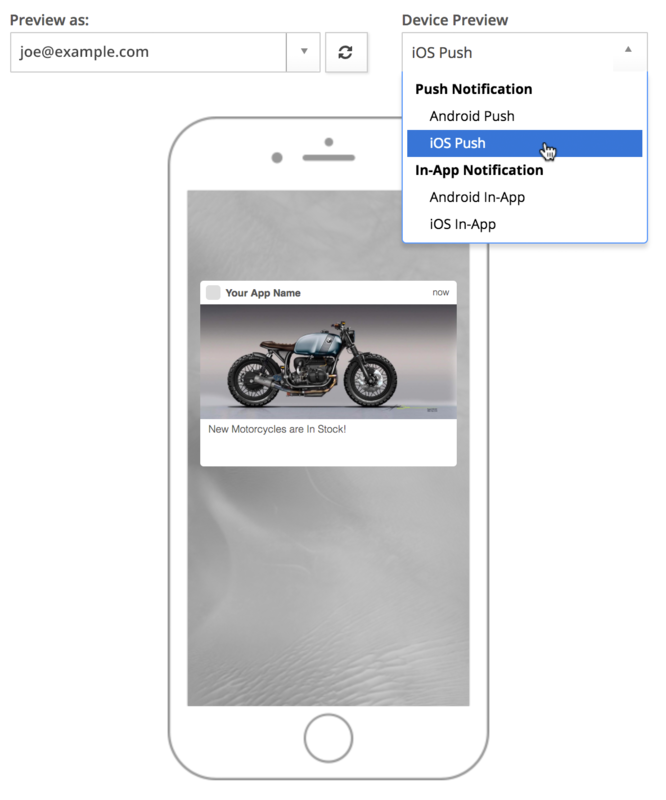 The mobile push channel supports Push and In-App Notifications. Select a notification type or choose both if you would like to send a notification to both types. Enter the text that will be sent in the notification. The editor supports plain text and Cordial template syntax (Smarty) for dynamic personalization. 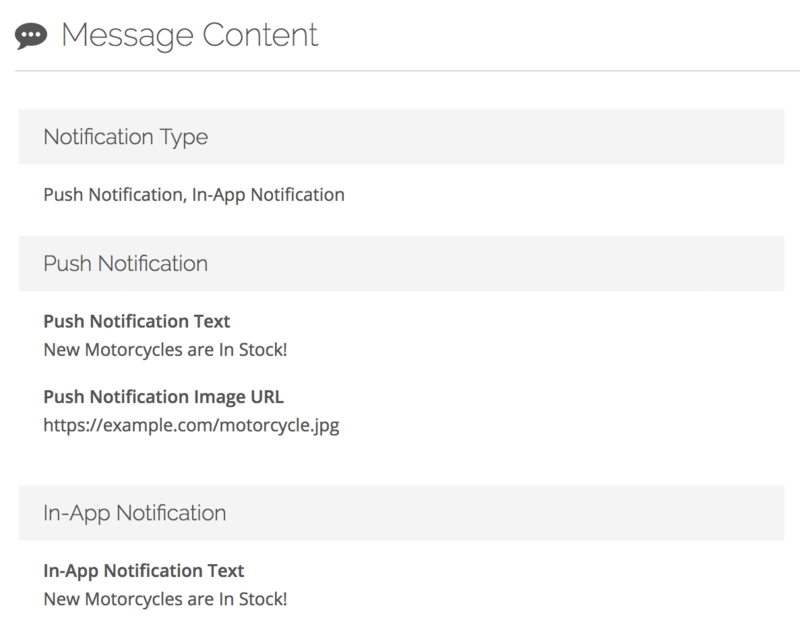 Learn more about using Smarty in message content. If you are sending to both notification types, you can choose to use the same text or different text for each type. You can add an image URL or browse the image library. Note that HTTPS is required for image urls. Mobile devices can range in size and resolution so it's best to chose a proper aspect ratio so images will fit correctly on the screen. Images will be resized proportionately depending on the device. To ensure your image is not cut off in the notification you should use an aspect ration of 2:1 (height should be 2x the width). For example, an image width of 1024px should have a height of 512px. Define where to direct your user when they click or tap on your notification. Home: Opens the web homepage URL and app home screen for a Push Notification. Web Browser URL: Opens to a page in a browser. App Deep Link: Opens a deep link to a location in the app and includes a fallback URL. Dismiss: Dismisses the in-app message. Clicking the preview button will allow you to preview the notification in an Andriod or IOS device. Note that the actual appearance may vary on different device types and platforms. Once you are satisfied with your notification, click Save to view the content summary.